Discover Us - Discover Your Swing! 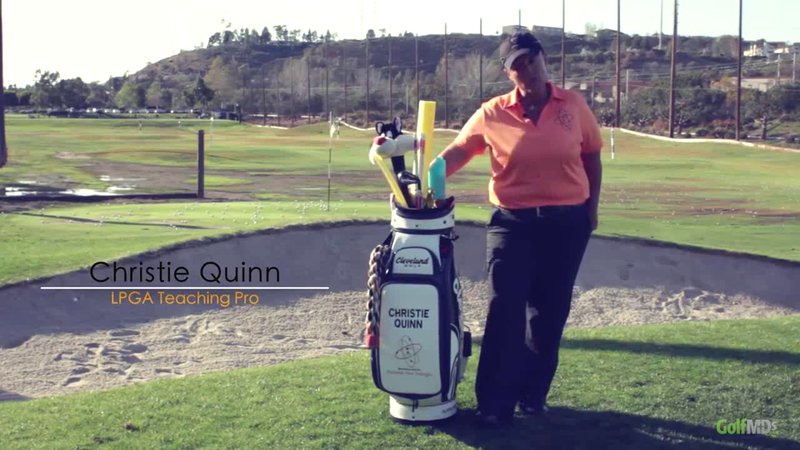 Christie Quinn is a Class A Member of The LPGA T&CP Division. Growing up as an army brat, Christie lived all over the U.S. and Europe settling in Ponte Vedra Beach, Florida, where she finished high school and became interested in golf, with TPC at Sawgrass and LPGA just down the road. Being self motivated, Christie worked through high school and college in retail, ergo little time for golf. Christie's post college career was also retail, which put me on a fast track moving to New Orleans, Baltimore, Boston and finally San Francisco. Being an executive from 2000, Christie had a blast playing in many charity and Pro-am tournaments until 2005. The passion for golf took, Christie was hooked. She wanted to be the longest driver and the shot we used at every company scramble. Christie's competitiveness in my profession was now revealing itself in my golf game. She wanted to play and compete at a higher level and my career was taking up too much time My company was kind enough to allow a 6 month discover-another-field-leave of absence. Being a visual learner, I watched many hours of the golf channel and other duffers out at the range to develop an smooth push-draw swing. It was a go-to swing under pressure and repeatable. So in March of 2006, I settled into a country club and started practicing and playing competitively on mini-tours, USGA events, and club tournaments as an amateur. I am a firm believer in commitment and positive attitude to accomplish goals. The spirit of golf, the passion for striking the ball, & hearing friends say "Nice shot" are all apart of a duffer's life. The inner struggle with improvement is a life long feat, yet it can be discovered that living and accepting the body you have is the secret to enjoying golf. Discover Your Swing!® is my trademarked brand that coins my niche for teaching. This niche is a philosophy to assist every golfer to find and embrace their unique swing. Life is full of variables, one person's level of strength and flexibility is not like another's; ergo each swing is a personal thumbprint. Once this is understood, a golfer can learn to accept the body they have presently, and/or be motivated to transform towards achieving possible goals. Whether you're self-taught or well trained golfer,Discover Your Swing!® is a philosophy defined as a series of transformations for anyone. I would like to help students of all levels access the body they have, know and understand it's ranges of motion, and decide if or how we can develop a plan to transform. I have found much success in discoveringwith students their own personal acceptance in what their body can be. It seems like many students are grateful for bringing this awareness to the forefront of their consciousness, and sometimes this is the most fulfilling lesson I can give. I do this by taking them through a physical assessment during the interview process. See doc-What we CAN do! Once we achieve this, many students enjoy golf, because they understand why miss-hits happen and the direct relation of the body to the golf swing. If the student wishes to transform, then I provide a partnership-guided lesson plan called Discovery! which includes the mental, physical and emotional components to build a realistic regimen with a "discover line", as opposed to a dead-line. This is documented and built on a takeaway of a simple plan See doc-Discovery! This is the way I have learned, to play my best golf, being physically challenged and starting so late in life. I believe that by utilizing the experience of a professional that has accomplished these transformations, students will begin the path to Discover Your Swing!® The transformations are understanding-What we CAN do! and/or transforming with Discovery! Christie will customize your lesson to exactly what you need. i saw a positive change right away and also got the tools I needed to transfer my learning onto the golf course! Christie is an excellent golf coach. Christie is fabulous with Jr Golfers!! My daughter developed her beautiful swing and love for golf with Christie. Christie has set her up for success in the sport with both solid skills and confidence. Highly recommend Christie to anyone looking for golf instruction! 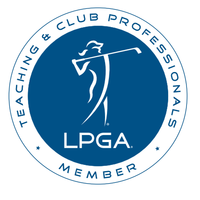 There are thousands of LPGA and PGA professional teachers across the country, but, just because someone has the skills and knowledge to be an instructor, does not mean they can teach. The ability to teach is a gift. Think about some of the instructors you had in school. Some were gifted with the ability to make the most mundane subjects interesting, while others, well, you know. It took years, but after a zillion lessons and thousands of dollars later, I found Christie Quinn. She has that unique teaching ability of communicating in such a way that she identifies your skill sets and finds creative and exciting ways to make learning golf and enjoyable experience. And if you are a very experienced golfer like me, she can help you to move on to the next level. I highly recommend that you contact her. After several years of watching our daughter's golf game develop, it reached a point of needing to be elevated to the "next level". Hence, we sought out the premium coaching style of Christie Quinn and her, Discover Your Swing, teaching/coaching platform. After approximately 6 hours of coaching over 8-10 weeks the results became apparent. Swing mechanics improved leading to better ball striking, flight and accuracy. In addition, her understanding of the games psychology is following suit, along with her confidence and appreciation of the game. Christie's methodology is well rounded and on point. Christie has made golf fun for me again! I was about ready to give up the game because I just did not enjoy being out of a hole after my drive and then playing for double bogey. I did not care about the short game when I first began lessons with her because I was always out of the hole before I ever got near the green. Now I am loving golf again because I am on the green in regulation on nearly half of the holes and am now working on getting up and down when I am not. Bottom line is that I was probably about a 25 handicap for 30 years and am now at 17 and heading down to a 12 soon with the scores I am now posting. Christie is a phenomenal coach! I have been lucky enough to train with her for the past few months as I prepare to take my game to the next level, I don't think I could've found a better person to have in my corner. I've sat and watched her instruct other players after my lessons and what stands out most, is her ability to cater so well to everyone's specific needs. She's really great at understanding various personality types, allowing for a great connection to develop between instructor and student as you move forward. The philosophy of her instruction is, in my opinion, what good golfers need. 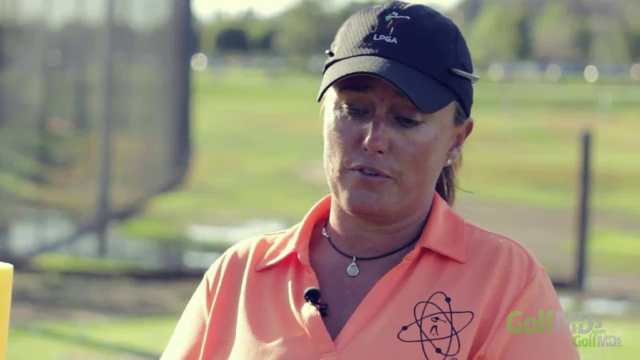 Christie has the ability to help you realize the other aspects of your game that relate to your capabilities and can help give you great tools to improve. If you're serious about you're game or about finding great instruction for your young golfer, visit Christie at the Riverwalk Golf Performance Center. Christie is extremely knowledgable about her sport and is able to break it down for your specific type of learning style. I was able to see improvement in a very small amount of time with my driver and all irons! Feel like I have a pro to go to on my side now. Good golf to come! Christie is the best. I feel unbelievably fortunate to be able to work with her. Her knowledge of the game is unmatched and she has an arsenal of tips, tricks, drills, and gadgets to take your game to the next level. The best instructor I've ever worked with hands down. Thank you! My son took one lesson from Christie and was so impressed, he treated me to a trial lesson. It was so good, we both signed up for multiple lessons. It's been such a fantastic experience and great for my game! She clearly enjoys what she does and is extremely good at it. It makes every session a pleasure and something to look forward to. Whether you're interested in taking up golf or would like to improve your game, I would highly recommend that you take lessons from Christie. I'm so glad I did! Christie is great with my daughter, she is able to connect with her that makes her comfortable and perform. Her teaching style is very collaborative, inclusive and effective. My daughter loves it!! Discover Your Swing! ® © 2016. All rights reserved.